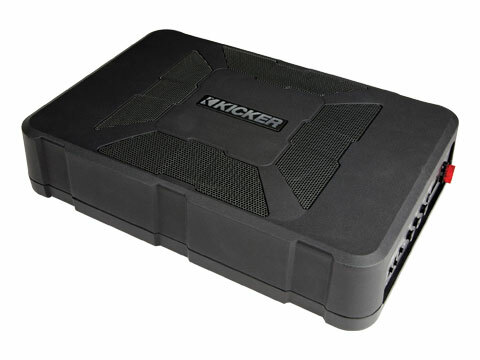 Have your bass and amp in one box! 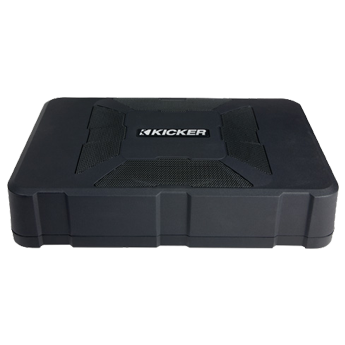 Kicker’s powered subwoofers deliver the legendary subwoofer technology that has brought ground-pounding bass to vehicles since 1973. Our latest bass machine, the Hideaway Compact Powered Subwoofer, was our first-ever compact powered subwoofer. With an award-winning design, boasting 3 inches in height and nearly 14 inches in length, the Hideaway brings together a 150-watt amplifier and an 8-inch subwoofer to bring thundering bass, all while fitting in the tightest locations. Our powered subwoofers for cars allow you to get all the bass that you want, along with clear sound, without taking up a lot of space. 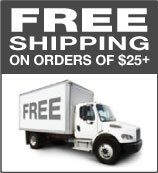 Select your high-powered subwoofer today and enjoy free shipping from Kicker on all orders over $25.